An industry stalled is being revived again. Massachusetts and Rhode Island both awarded major offshore wind contracts on Wednesday, underscoring the increasing economic viability of a kind of renewable energy that has been long considered too expensive. The Massachusetts installation will have a capacity of 800MW. Situated 14 miles off Martha’s Vineyard, the wind farm will be called “Vineyard Wind,” and it has an accelerated timetable: it’s due to start sending electricity back to the grid as soon as 2021. According to Greentech Media, the contract was won by Avangrid Renewables and Copenhagen Infrastructure Partners, both companies with headquarters in Europe. The two share 50/50 ownership of the project and beat Deepwater Wind and Bay State Wind in the bidding. The New York Times notes that Massachusetts’ New Bedford port has been retrofitted to bear the incredible weight of some of the infrastructure that will be needed for a significant offshore wind buildout in the next ten years. While this buildout will be in state waters, Massachusetts could also see more offshore wind development in the near future. The Department of the Interior recently opened 390,000 acres of federally controlled waters off the coast of Massachusetts to wind development. The second major contract awarded on Wednesday came from the state of Rhode Island, and it went to Deepwater Wind. Deepwater Wind built the US’ first offshore wind installation ever, a six-turbine, 30MW installation off the coast of Block Island, Rhode Island. This new 400MW installation will be far larger than Block Island. It will be called Revolution Wind, and it will help Rhode Island meet its own target for 1GW of renewable energy (though not offshore wind specifically), according to a government press release. Deepwater Wind also has to start power purchase negotiations and get federal regulatory approval before it can proceed. A Deepwater Wind spokesperson told Ars via email that construction could begin as soon as 2020. Deepwater Wind is also working on a project to install a 90MW offshore wind farm off the coast of Long Island. 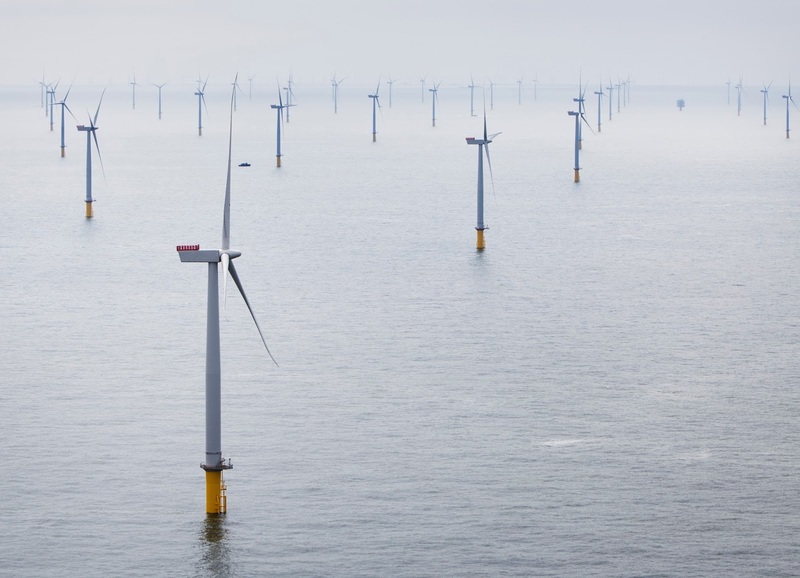 The jump from a 30MW offshore wind farm to a 400 or 800MW offshore wind farm is a big one, and it’s one that might not be possible save for the tremendous advancements that have been made in Europe. Europe currently has roughly 15.7GW of offshore wind creating electricity for its grids, and the result of all that investment has been a steady decline in previously exorbitant installation costs.